– U.S. Senator Carl Levin, D-Mich. Widespread corporate use of tax maneuvers akin to these, in tax shelters the world over, are estimated to cost the U.S. treasury billions annually. They increase profits and benefit shareholders at the expense of the companies’ home countries and other places where they do significant business. ICIJ obtained the Disney and Koch tax documents as part of a trove of information that details big companies’ complex financial maneuvers through subsidiaries in Luxembourg. ICIJ received these documents last month, soon after publishing an earlier set of leaked documents detailing the Luxembourg tax deals negotiated by FedEx, Pepsi, IKEA and 340 other globe-spanning companies. Other companies appearing in the newest leaked files include Hong Kong-based conglomerate Hutchison Whampoa, private equity firm Warburg Pincus, and Internet phone giant Skype. One of the Skype files relates to a restructuring in which Internet mega-marketer eBay sold a controlling stake in Skype to private investors. Skype, based in Luxembourg, is now a division of Microsoft. “Microsoft adheres carefully to the laws and regulations of every country in which we operate,” the company said in an emailed statement. Since the first wave of stories was published by a team of more than 80 journalists around the world, ICIJ’s “Lux Leaks” investigation has sparked swift condemnation and calls for reform in Europe. In the wake of the revelations, Jean-Claude Juncker, the new president of the European Commission, who was prime minister of Luxembourg while many of the controversial tax policies were enacted, survived a no-confidence vote in the European Parliament but saw his leadership questioned. Ernst & Young, KPMG, PwC and Deloitte have all declined to answer detailed questions regarding the tax agreements and instead cited their global codes of conduct requiring that their employees comply with the law and behave ethically. The “simplified schema” of Koch Industries’ Invista division after restructuring. The Disney and Koch files show that both companies, advised by Ernst & Young, engineered complex restructurings that reorder the ownership of many subsidiaries and centralize them under Luxembourg companies that are all served by internal corporate finance companies, akin to a company’s own bank. These internal lenders received interest from affiliated companies channeling hundreds of millions of dollars in profits through Luxembourg between 2009 and 2013 and paid little tax. In some years, the two parent companies’ Luxembourg subsidiaries enjoyed tax rates of less than 1 percent. “Professional standards, as well as privacy laws, require that EY safeguards confidential client information. We take these obligations very seriously and are therefore unable to comment on individual cases,” Brewster, of Ernst & Young, said in the statement. “When the money arrives in Luxembourg, taking advantage of an agreement between countries that assumes it will be taxed in Luxembourg, it goes in one of these unusual structures … and it’s not taxed very much at all,” Richard Brooks, a former tax inspector in the U.K. and author of The Great Tax Robbery, said about these types of arrangements. Brooks was not speaking about Disney and Koch specifically. It’s impossible to determine exactly how Disney’s and Koch Industries’ Luxembourg tax deals affected the companies’ U.S. tax bills without seeing their confidential filings to the U.S. Internal Revenue Service. Several experts consulted by ICIJ, however, said the Luxembourg subsidiaries could help both companies move profits outside the U.S. to lower-tax jurisdictions. Both sets of “Lux Leaks” files detail confidential tax rulings — also known as “advance tax agreements” or “comfort letters” — from Luxembourg officials that assure companies they will get favorable treatment for their tax-saving maneuvers. The newest leaked documents involve tax deals presented to Luxembourg authorities between 2003 and 2011. Luxembourg’s tax deals are legal within its borders, but may be subject to challenges if tax authorities in other countries view them as allowing companies to avoid paying their fair share of taxes to them. Under the U.S. tax code, a transaction that cuts a company’s tax bill must have a true business purpose or the IRS can disallow the tax benefit. The European Union has been investigating tax deals provided to companies that have established footholds in Ireland, the Netherlands and Luxembourg to see if these countries’ tax deals provided the companies impermissible “state aid” under European Union law. In the past 15 years Luxembourg has become a hub for some of the world’s largest brands — big companies attracted by rulings that allow them to reduce the landlocked Central European duchy’s corporate income tax rate of 29 percent to little more than zero through financial maneuvers blessed in advance by Luxembourg tax officials. Internal company banks are one way corporations shift profits to Luxembourg in the form of interest payments on intra-company loans. Another way is through royalty payments on intellectual property, which enjoy an 80 percent tax exemption in Luxembourg. A spokesman for Luxembourg’s Finance Ministry defended the tax ruling practice, saying it’s not unique to his country. Any problem stems from the interaction of tax regimes in multiple countries. Such interplay “can currently lead to a significant reduction of a company’s tax or even no taxation at all.” While legal, its “legitimacy is put in doubt from an ethical point of view,” he said. A Disney U.S. subsidiary, Disney Enterprises Inc. (DEI Inc)., lends €45 million to a Luxembourg subsidiary, WedcoLux S.C.A., charging 0.42 percent interest. Disney’s Luxembourg company lends the same €45 million to Disney in France, charging 5.7 percent in interest. Disney in Luxembourg borrows another €30 million from DEI Inc. in the U.S. at an interest rate of 0.42 percent. On the same day, Disney in Luxembourg lends that €30 million to Disney in France at 5.7 percent interest. Disney and Koch Industries’ Luxembourg structures differ in their specifics, but show common threads. The Disney tax scheme is laid out in a 34-step advance tax agreement proposed in October 2009 by Ernst & Young. The document shows the corporate parent of Mickey Mouse moving money in circles across the globe while transforming it from cash to debt to equity and back. The copy of the ruling obtained by ICIJ does not bear the stamp of approval of the Luxembourg tax authority. Yet ICIJ was able to verify that the actions outlined in the document took place based on the company’s public filings in Luxembourg. Disney’s Luxembourg offices are set up in a way that could allow the entertainment giant to move profit away from countries with high corporate taxes like France and Germany. Disney’s Rube Goldberg-like series of equity transfers gathered ownership of at least 24 of its subsidiaries in France, Italy, Germany, the U.K., Australia, the Cayman Islands and the Netherlands under the umbrellas of two newly created companies in Luxembourg, the new documents show. Loans worth €717 million to two of Disney’s U.K. subsidiaries generated €181 million in interest payments, while a €12 million loan to The Disney Store Netherlands generated €495,000 in interest. The Cayman Islands company returned €837 million in dividends to Luxembourg. Disney’s tax agreement also lays out a series of tax-free “hidden capital contributions” from other Luxembourg subsidiaries to the finance company, totaling more than €650 million. Disney also set up a U.S. branch of the Luxembourg-based internal lender, at Disney’s headquarters in Burbank, California. Brooks said the U.S. branch likely pays no tax on its transactions, because of a loophole in the U.S. tax code where, at the request of the parent company, the IRS can ignore certain subsidiaries for tax purposes. If so, “it is U.S. tax being avoided as this is ultimately investment from the U.S. being routed through Luxembourg for tax purposes,” said Brooks, who was hired by ICIJ to review some of the documents. Disney’s offices are in a residential building, with a handwritten label on the letterbox. 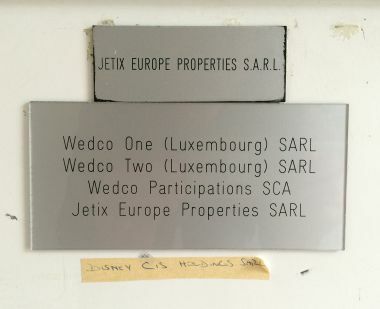 They are located in a residential building in Luxembourg with two additional Disney subsidiaries. On the group’s letter box, the name of Disney CIS Holdings S.à.r.l., a firm created in 2011, had been added by a handwritten notation on a piece of masking tape. When a reporter from ICIJ partner MO* Belgium visited, a man opened the door and introduced himself as director of the five companies. “Now you can see that we really are present here. There is substance,” said the man, a Belgian citizen who declined to give his name. “We use a large apartment on the ground floor as our office,” he said. “There’s not need for a lot of personnel. A qualified person with a full-time job can manage those five holding companies. And all the accounting and board meetings happen in Luxembourg.” He declined to answer specific questions about Disney’s Luxembourg business or about the 2009 advance tax agreement. 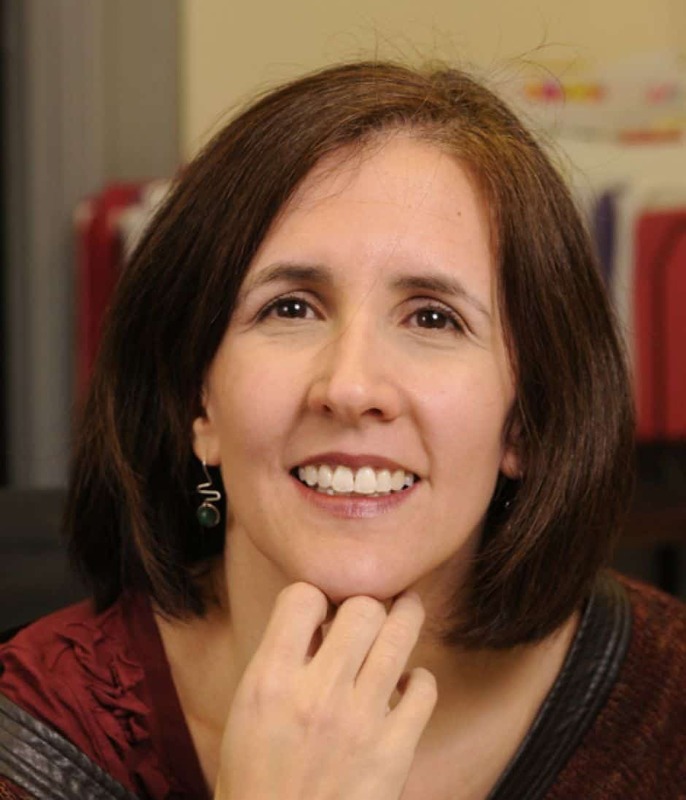 “Our global effective tax rate has averaged 34% for the past 5 years and 35% in the most recent year,” said Zenia Mucha, Disney’s spokeswoman in the U.S. “We manage our tax affairs responsibly and aim to fully comply with all applicable tax rules. 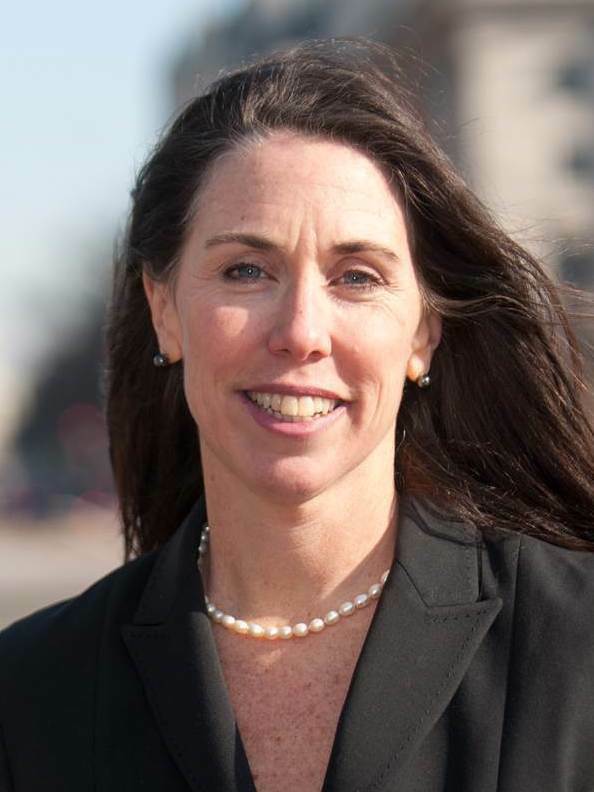 Your assertions are not based on an accurate understanding of our global tax position.” She did not respond to a dozen detailed questions emailed to the company and did not specify what she saw as inaccuracies. It’s unclear if Disney has brought any of its Luxembourg profit back to the U.S., where it would be taxed at the corporate rate of 35 percent. Disney reported in its 2014 earnings report that it was holding $1.9 billion in foreign earnings overseas and estimated that the U.S. tax liability if it brought that income home would be $377 million. The $377 million, a fraction of Disney’s operations worldwide, would still boost its total global tax bill by more than 10 percent. The company reported in its 2014 financial statement that it paid $3.1 billion in U.S. federal and state income taxes and $600 million in foreign taxes. Koch’s Dutch subsidiary, Invista B.V., lends $736 million to an American branch. The U.S. branch in turn gave an interest-free loan back to Invista B.V.
Invista B.V. turns over the interest-free credit of $736 million to a Luxembourg company KoSa US Investments S.a.r.l. KoSa US Investments gives the interest-free $736 million credit to the U.S. branch. Now the U.S. branch is creditor and debtor of the same debt, which was then cancelled. Koch’s Luxembourg transactions revealed by the new documents involved its chemicals and polymers subsidiary Invista BV, which makes Lycra-brand fiber and Stainmaster-brand carpets. The Koch documents, also prepared by Ernst & Young, describe “Project Snow,” a 26-step restructuring of Invista designed, they say, to simplify the company’s structure, centralize its cash flow into Luxembourg, and pay down debt. The restructuring was worked out in a series of four meetings in late 2008 and early 2009 between Ernst & Young employees and Marius Kohl, head of the Bureau d’imposition Sociétés VI, part of Luxembourg’s revenue authority, according to the tax ruling. Kohl, now retired, approved thousands of tax deals over 22 years that helped save companies billions of dollars. The documents show that in the restructuring, which took place starting in September 2008, the subsidiaries of Invista passed hundreds of millions of dollars back and forth, converting shares to debt and occasionally dissolving firms. Tax-free “hidden distributions” among subsidiaries are just one type of head-spinning transaction included in the confidential tax ruling approved by Luxembourg authorities. Another section describes a $736 million loan that gets passed from company to company until a U.S.-based subsidiary becomes “both the debtor and creditor of the same debt,” and the debt is canceled. Each step in the tax ruling includes a separate interpretation of how it will impact the company’s taxes in Luxembourg. In most instances, the transactions are exempt. Central to Koch’s restructuring deal is an internal company bank, Arteva Europe S.à.r.l., which manages the cash flows of the company’s European operations through Luxembourg. Arteva had established a Swiss branch that likely benefited from low tax rates in Switzerland. Luxembourg officials agreed to treat the Swiss branch as separate from the Luxembourg company, according to the tax deal. From 2010 through 2013 the company paid $6.4 million in taxes on $269 million in profits. Its highest annual tax rate was 4.15 percent. Arteva reported no staff costs in its annual financial reports filed in Luxembourg. In Switzerland, Arteva’s branch shares an address in Zurich with a firm called Tax Partners AG, whose principals are also listed in public filings as the deputy branch managers of Arteva, according to reporting by ICIJ partner, The Guardian. The branch manager of Arteva Switzerland describes himself on the web site LinkedIn as “tax director, Europe” for Koch International Shared Services. “Like all Koch companies, Invista conducts its business lawfully, and pays its taxes in accordance with applicable laws,” said Rob Tappan, a Director of External Relations for Koch Companies Public Sector. The company declined to respond to detailed questions about its Luxembourg operations. Koch says Invista is headquartered in the United States. However, U.S. and other operations are owned by a holding company incorporated in the Netherlands, a low-tax country, where it reports financial results. The Invista offices are located in a modern office building in Luxembourg in a suite with other Koch companies. A sign on the glass front says Koch Business Solutions — Europe S.à.r.l. The building is home to more than 670 active businesses, according to an ICIJ analysis of Luxembourg’s corporate registry as of September 2014. No one responded when a reporter rang the bell at the office, and two workers who were leaving declined to say how many people work there and what they do. Koch Industries is the second-largest privately owned company in the United States, according to Forbes, and it is not required to report its financial information in the U.S., so it’s impossible to know how much tax it has paid here. The company bought Invista from DuPont in 2003 for $4.4 billion and combined it with KoSa, the Koch subsidiary that produced polyester and nylon fibers. It incorporated the new company in the Netherlands. Koch Industries immediately began paying down Invista’s debt, according to reports from Moody’s. By 2010, Koch Industries had contributed $350 million to Invista, and by 2011, Koch had helped the company repay an additional $720 million, leaving Invista debt-free, Moody’s said. Owners Charles and David Koch have been in the center of political controversy in recent years as they’ve sought to use their money and connections to elect Republican political candidates who are sympathetic to their libertarian beliefs. Koch Industries admitted in 2011 that one of the key companies in its Luxembourg holdings, Invista S.à.r.l., had funneled a dozen illegal campaign contributions to state political candidates in Virginia, Delaware and Kansas and to the U.S. Democratic Governors Association. The company agreed to pay a fine of $4,700. The Kochs and their network of big-money donors and politically active nonprofit groups raised more than $400 million in an unsuccessful effort to thwart President Barack Obama’s bid for re-election in 2012. They were back this year, supporting Republicans’ successful bid to gain control of the U.S. Senate. The Center for Responsive Politics calculated that David Koch and his wife Julia contributed at least $2.4 million to political candidates and groups during the 2014 election cycle, while Charles Koch and his wife Elizabeth contributed about $2.3 million. Each of the brothers, through trusts, contributed $2 million of that to the nascent Freedom Partners Action Fund super-political action committee. 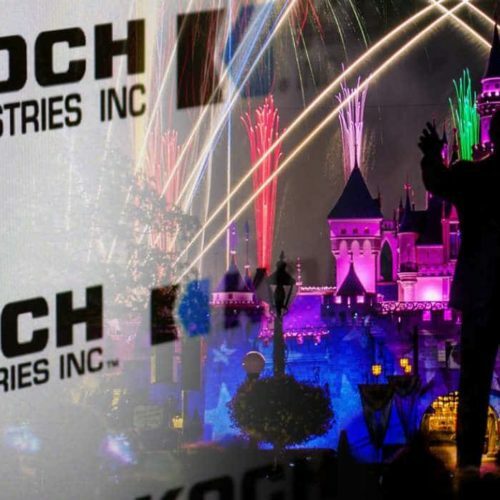 Disney and Koch may be benefiting from a loophole in the U.S. tax code that allows them to tell the U.S. government to ignore the existence of a multitude of subsidiaries and look only at the corporation’s foreign parent at tax time. The so-called check-the-box provision allows companies to bypass a rule that would normally require foreign subsidiaries to pay U.S. taxes every time money flows from one subsidiary to another. In 2009, President Obama included check-the-box in a list of tax loopholes he wanted to eliminate. Documents prepared by his administration at the time claimed that getting rid of check-the-box would raise an additional $86 billion in ten years in U.S. taxes, the most of the more than 25 business tax proposals in the president’s plan. Businesses mounted an aggressive lobbying campaign to protect their loophole and the proposal was dropped in less than a year. The tactic is one of a handful of tax strategies U.S. companies employ to move their profits to low-tax countries from the U.S., where the statutory corporate rate is 35 percent. Companies also use a strategy called cost-sharing, where they attribute some of the costs of developing new products to foreign subsidiaries, according to Stephen Shay, a professor of practice at Harvard Law School and a former international tax official at the U.S. Treasury. That way they can attribute the profits from those products, or the licensing of trademarks and patents, to the company outside the U.S. The strategy ends up locking corporate profits outside the U.S., because companies have to finally pay the tax if they bring the cash home. That may be why Disney is leaving $1.9 billion abroad. According to Bloomberg, U.S. companies in the S&P 500 have $1.95 trillion in profits stashed overseas. They have lobbied for a temporary reduction in the corporate tax rate on dividends from those profits, or a so-called repatriation holiday. Clausing estimates that companies shifting profits to low-tax countries rather than booking them where they are actually earned costs the U.S. between $57 billion and $90 billion a year. U.S. companies appear to be taking full advantage. Multinational corporations based in the U.S. have booked 6.1 percent of their foreign profits in Luxembourg while recording only 0.6 percent of sales in the Duchy, according to Clausing, who based her calculations on data from the U.S. Bureau of Economic Analysis. The same companies have only one-tenth of one percent of their foreign employees based in Luxembourg. Global accounting and tax advisory firms, including Ernst & Young, are prime architects of the inventive profit-shifting strategies that allow multinational companies to cut taxes via the Grand Duchy and other low-tax jurisdictions. The Big 4 firms’ role in boosting international tax avoidance has come under increasing scrutiny over the past decade. KPMG, for example, paid $456 million as part of a deferred prosecution agreement with U.S. authorities to settle charges that the firm had set up sham offshore shelters that allowed its clients to generate at least $11 billion in paper losses that cost the U.S. Treasury $2.5 billion. Earlier this year, a U.S. Senate investigation found the PwC tax advisors used legal loopholes to help heavy equipment maker Caterpillar Inc. cut its U.S. tax bill by $2.4 billion by shuffling paper profits from the U.S. to Switzerland. Both Ernst & Young and PwC have been investing in their operations in Luxembourg. Ernst & Young’s office in the Grand Duchy brought in $153 million in revenues in the year ended June 30, led by growth in its tax business, and is planning to hire 350 new employees by June 2015. PWC meanwhile held a grand opening for its 320,000-square-foot Luxembourg office building at a ceremony in late November in which Prime Minister Xavier Bettel and Finance Minister Pierre Gramegna gave speeches. With the “Lux Leaks” scandal still making headlines in Europe, PwC rescinded reporters’ invitations to the event. These investments may be at risk after the document leaks that have exposed how Luxembourg officials and global tax firms cooperate to help companies avoid paying the taxes in the countries where they truly operate. The European Commission is already investigating the legality of tax rulings obtained by Amazon and Fiat in Luxembourg and by Apple and Starbucks in Ireland and the Netherlands. Luxembourg is expected to adopt changes that it says will make tax rulings more transparent. Under a proposed new law, corporate rulings would have to be approved by a commission rather than a single official. Now the new EU Competition Commissioner Margrethe Vestager has said her team will review the tax rulings leaked to ICIJ.